These cookies are crunchy because of the pretzel. They have a delicious salty and peanutty flavor. You should not prepare them for anyone with allergies, though, since nut allergies are very serious. Always ask someone before giving them one of these. 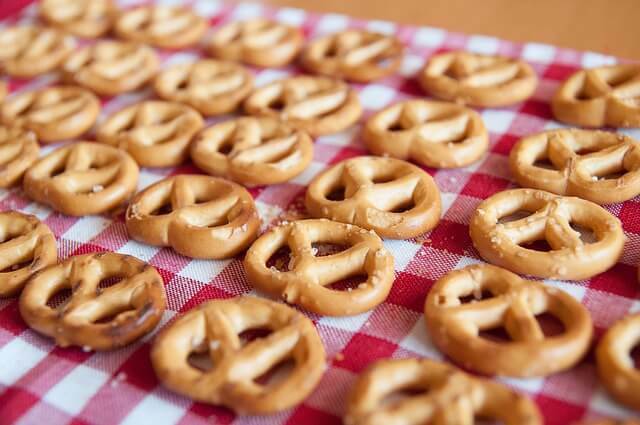 They are a big hit because of the crunch and they are a great way to use up pretzels you have lying around. Peanut butter is a popular flavor for cookies and is a hit with children. These cute cookies feature a traditional peanut butter chocolate chip cookie with a pretzel pressed in.